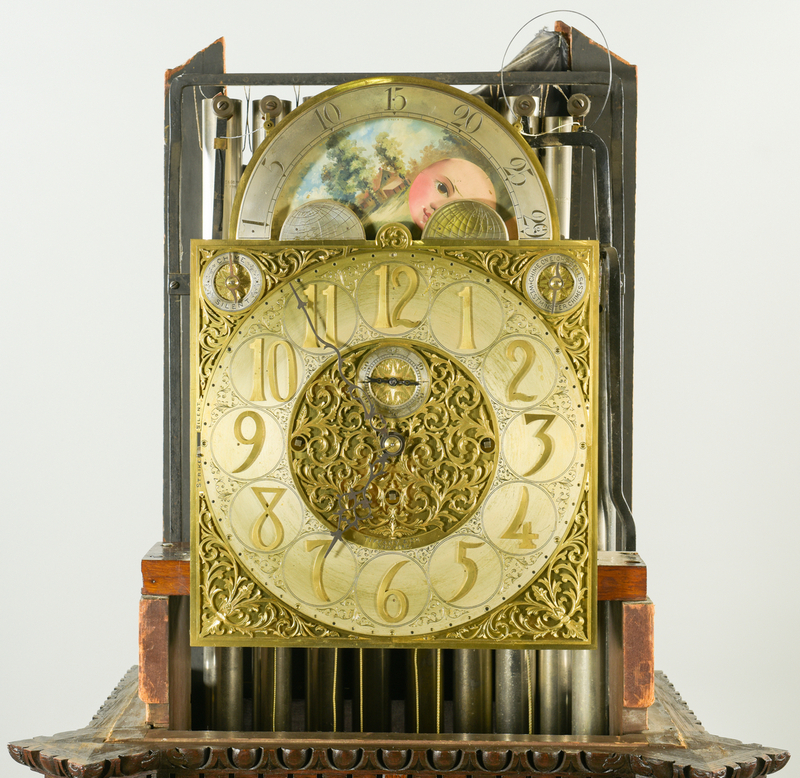 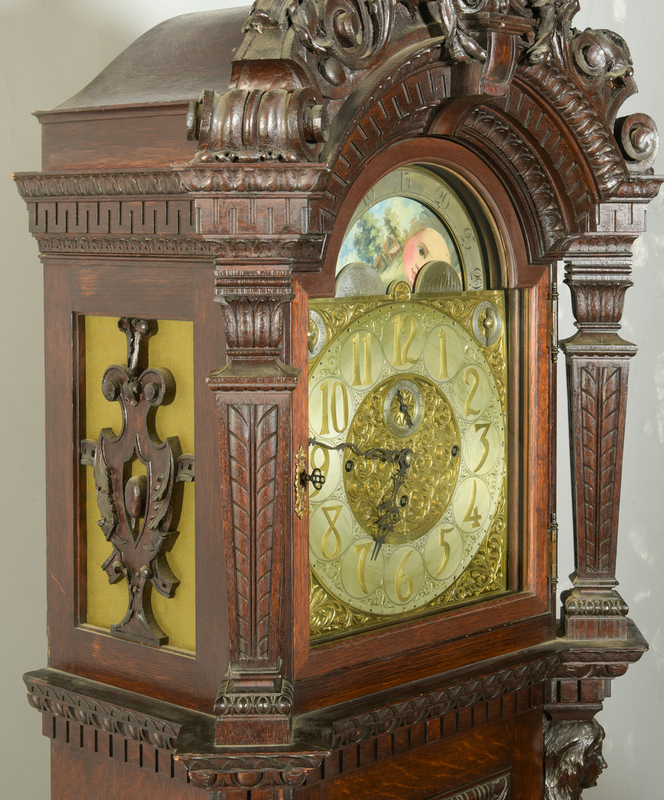 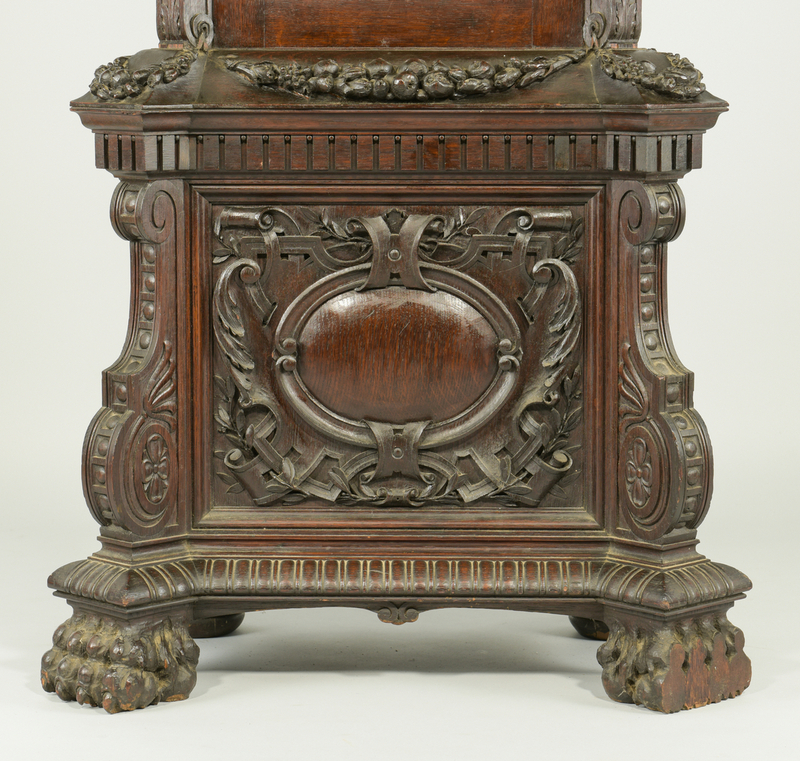 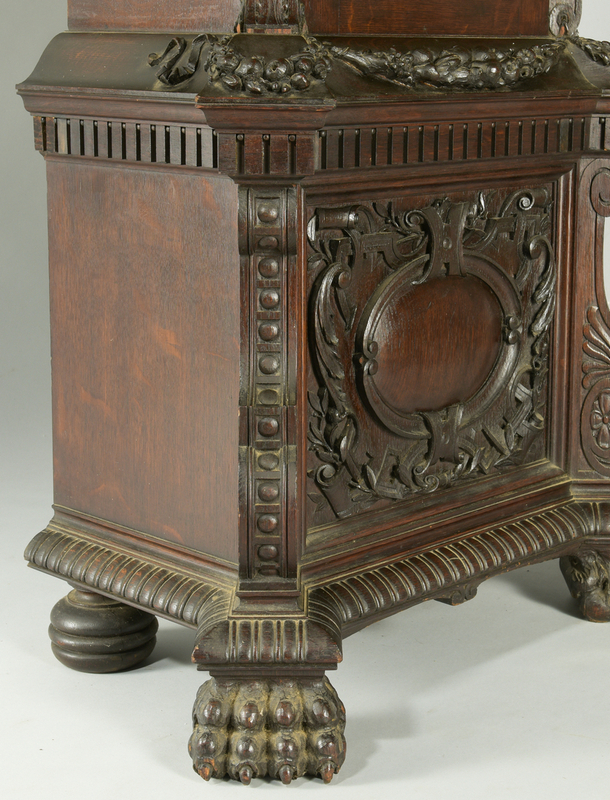 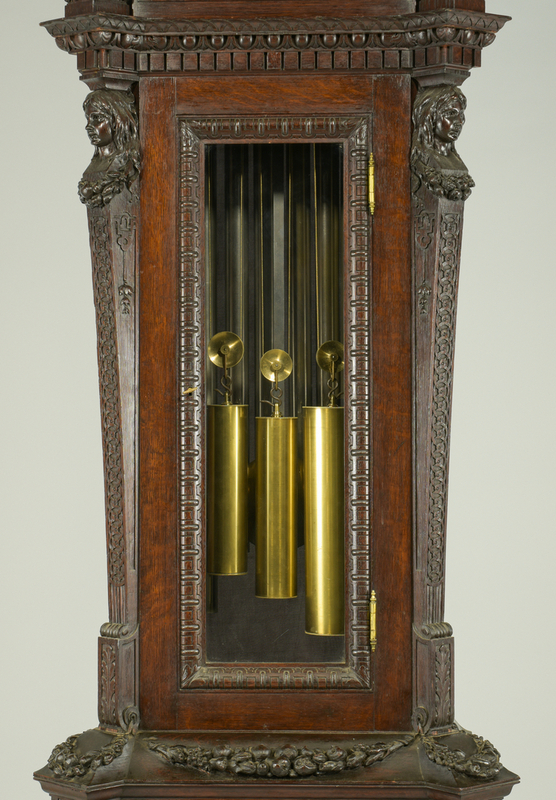 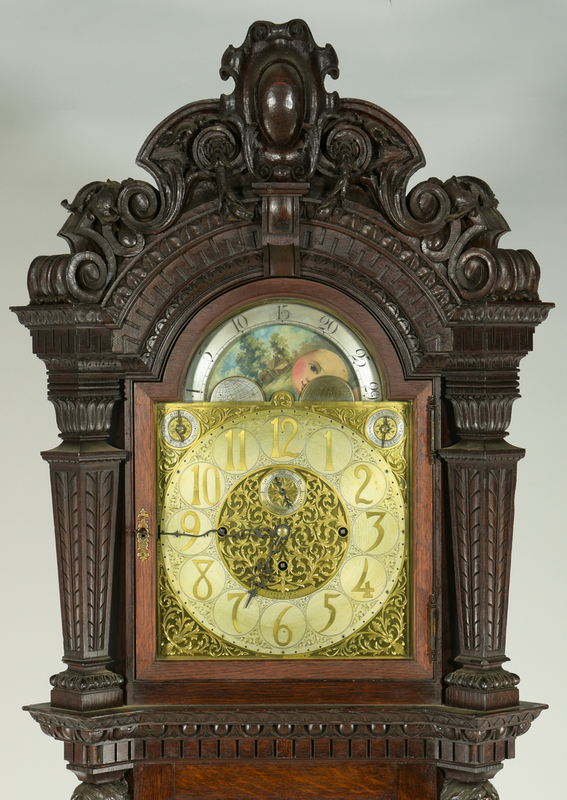 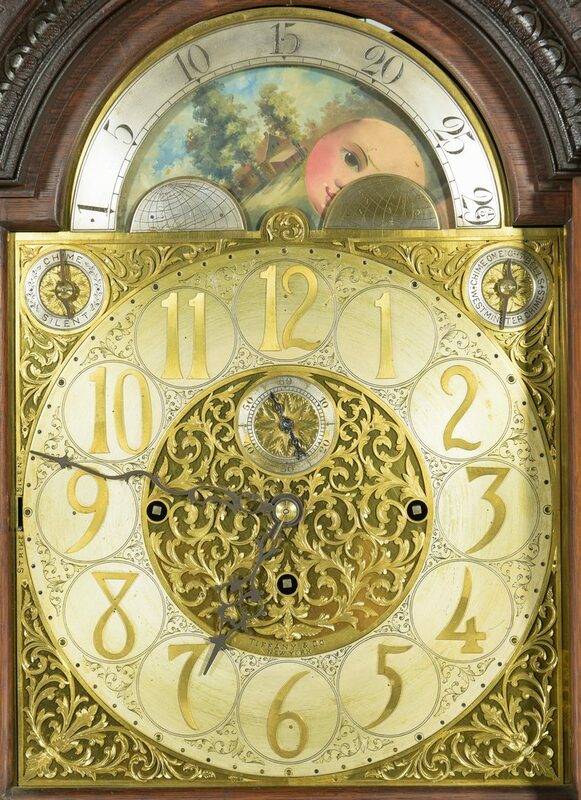 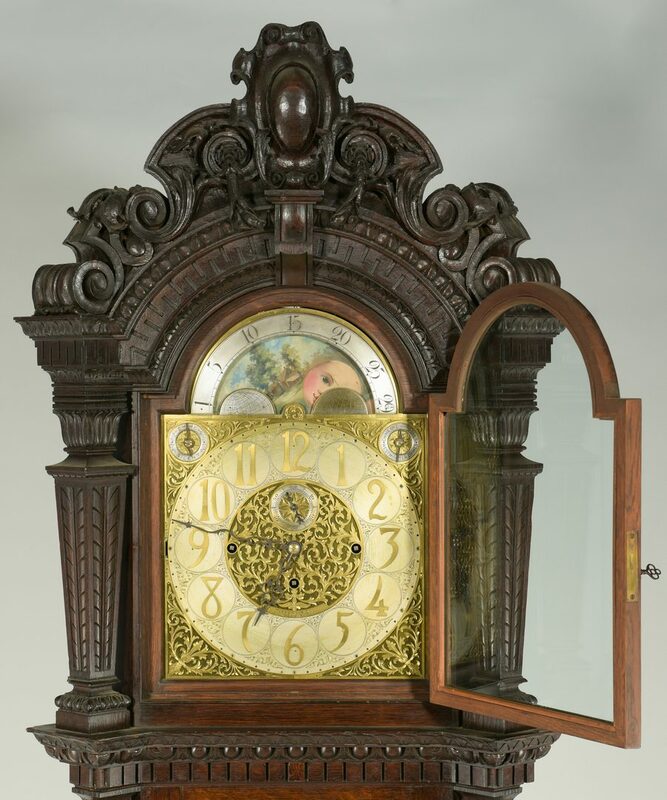 Tiffany & Co. tall case clock with elaborate Renaissance Revival style carved oak case attributed to R.J. Horner. 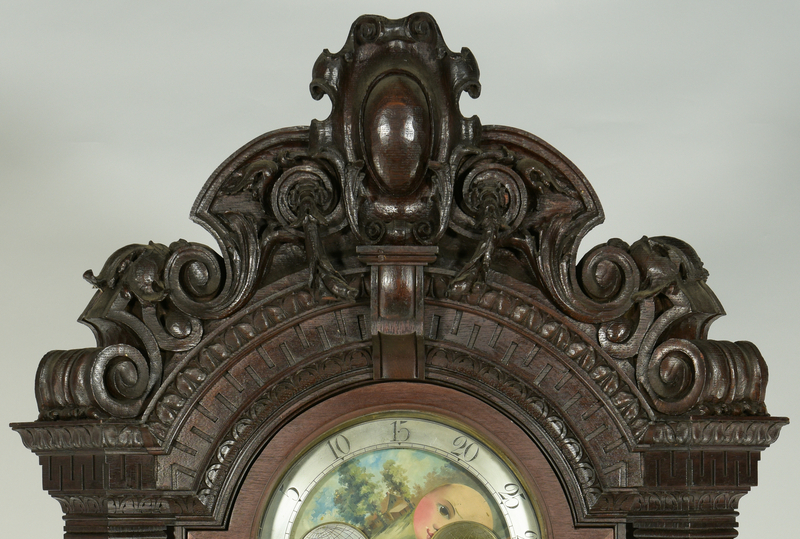 Carved pediment crest with laurel, egg and dart, dentil and anthemion moldings over an arched moon dial and silvered face with gilt filigree overlay, face marked Tiffany & Co. New York; glass waist door flanked by caryatids; the base carved in a cartouche design with applied high relief carved floral garland molding above canted serpentine carved corners; paw feet (front) and bun feet (rear). 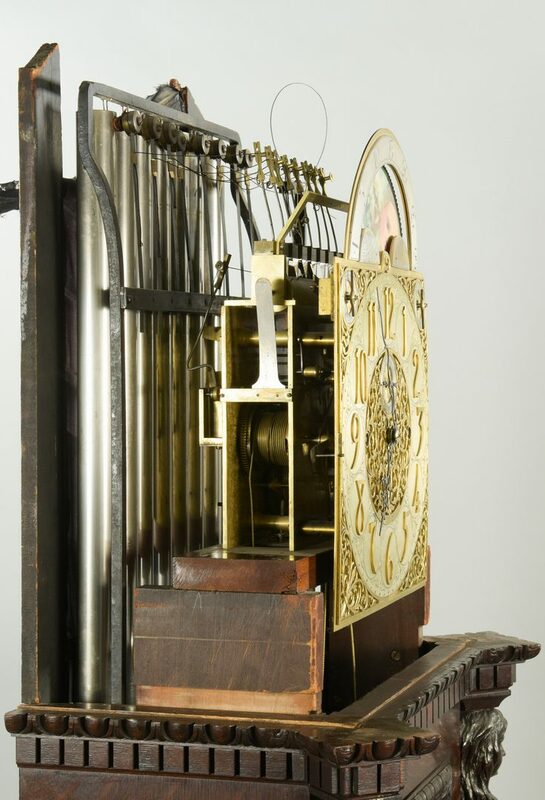 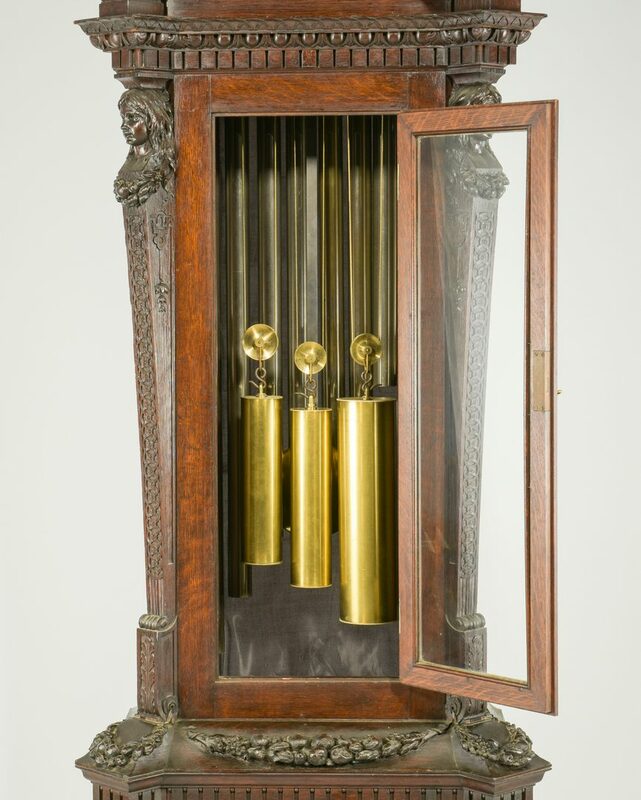 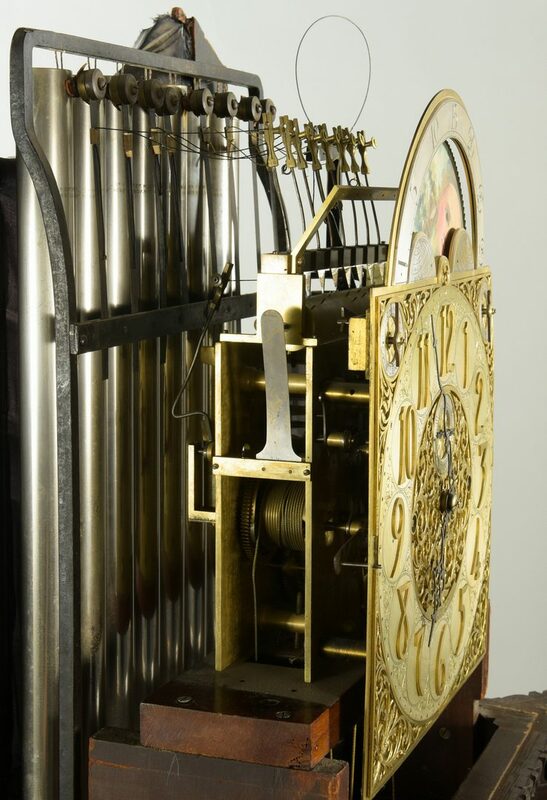 Walter Durfee movement with Westminster tube chimes, three graduated brass cased weights. 101" H x 30" W x 19" D. Late 19th century. Knoxville, TN collection. 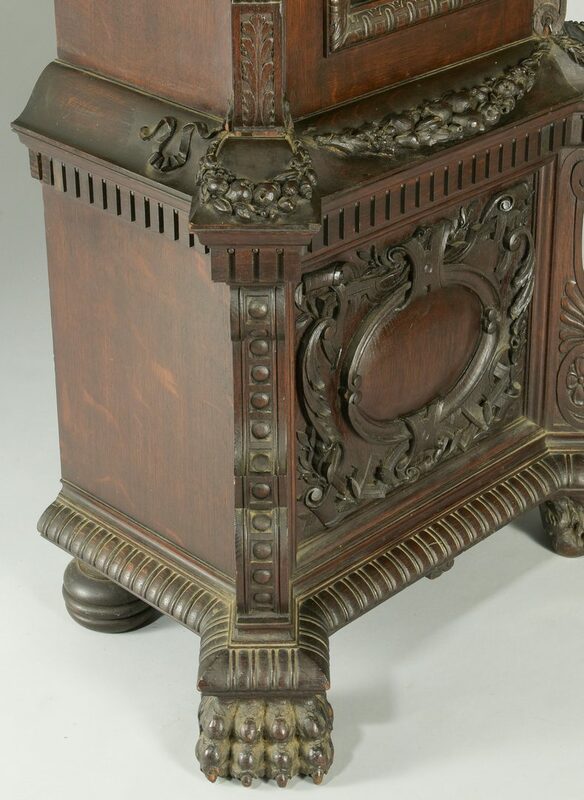 CONDITION: Original dark surface; scattered areas of wood losses to case including loss to front right paw foot facing; other minor losses including 1 1/2" area of loss to ribbon molding below waist; top of midsection (below dial door) has 1" section of molding loss along left side (near back of case) and right side, and at corners; 3" section of missing molding at lower edge of pediment (back of side corner), other scattered small chips and abrasions. 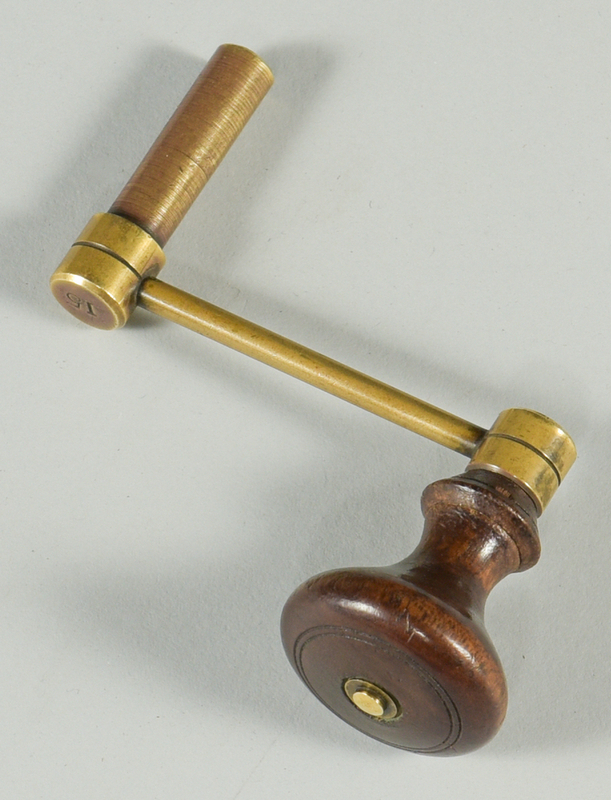 Movement fully functional.